Star Days, sponsored in part by Raytheon, are held each month, and each with a special space theme. These days are filled with extra activities appropriate for all ages. While furry friends will be unable to attend the “Space and Sci-Fi Celebration,” they can earn you a chance at free admission on Saturday, October 31. 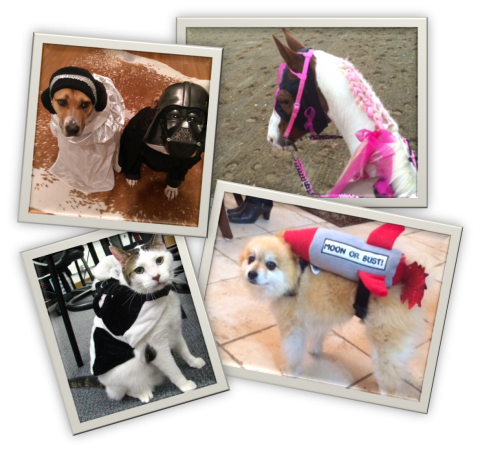 Submit your favorite photo of your dog, cat or any other pet in their best space or science fiction costume via the Space Foundation’s social media channels for a chance to win a family 4-pack admission. The deadline to submit a photo is noon MDT, Friday, October 30. For more information, visit www.spacefoundation.org/space4fun. The Space Foundation Discovery Center is located at 4425 Arrowswest Drive in Colorado Springs, just off of Garden of the Gods Road. For admission fees and other information, visit www.spacefoundation.org, or call the Space Foundation at 719.576.8000.